S.W. Florida is a waterfront haven. 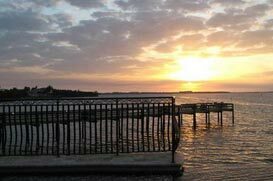 Cape Coral alone has over 400 miles of waterfront property within the city limits. Waterfront homes along the Caloosahatchee River used to be unattainable for most people, now that the values have fallen drastically since the “Boom Years”, it’s more affordable now then anytime over the last decade. Gulf Access homes are in hot demand, bring your boat and get your piece of paradise today!